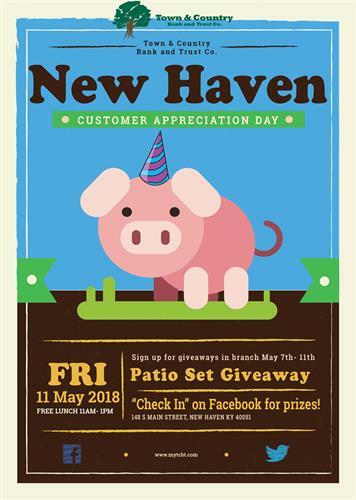 Join us at Town & Country Bank's New Haven location (148 S Main St) on May 11th for our Customer Appreciation Day! Lunch will be provided by the bank from 11am - 1pm. Stop by the week of May 7th - 11th to enter your name in a drawing for fun giveaways!